If you’d like help getting started, or have comments or questions, just email hello@equ.la. Let’s start at the beginning. Take Vert, the charger, and the cord out of the box. You can leave the spare strap. Take out your Vert and try turning it on and off a couple of times. Then try turning your Vert slowly to simulate changes in the horse’s head position. Please note that there are built-in filters which ignore rapid movements. 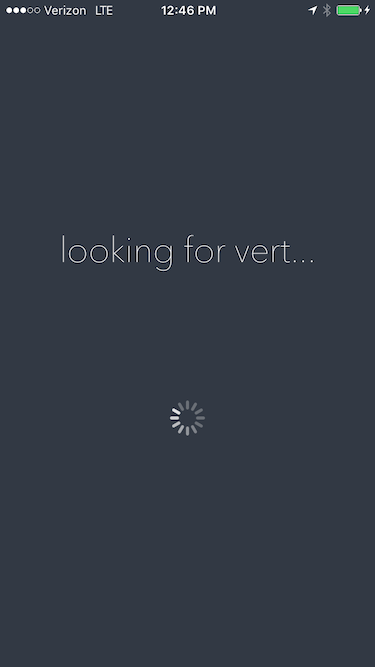 in Pace mode, Vert is entirely controlled by the phone and the button does nothing. In Pace mode, if there is no light showing, Vert is off. It’s a good idea to charge Vert for a few minutes before continuing. If you have not already done so, please download the app from the App Store. If you are in our beta program, please follow the directions you were given. Once you have downloaded the app, you can launch it. if this is your first time launching the app you will be asked to enter your name and email address. 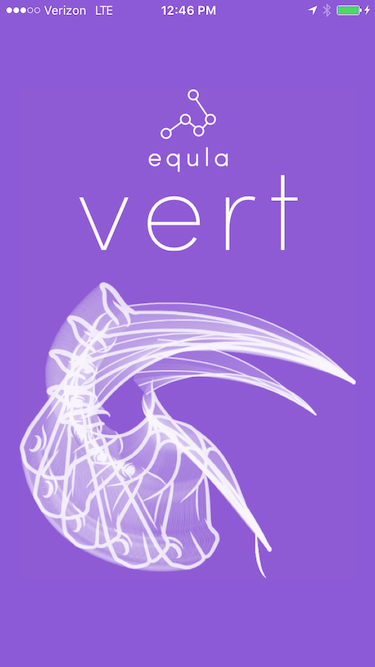 This is entirely optional, but is helpful so we can label your Vert with your name. then you will see the main menu, which will ask you to connect Vert. 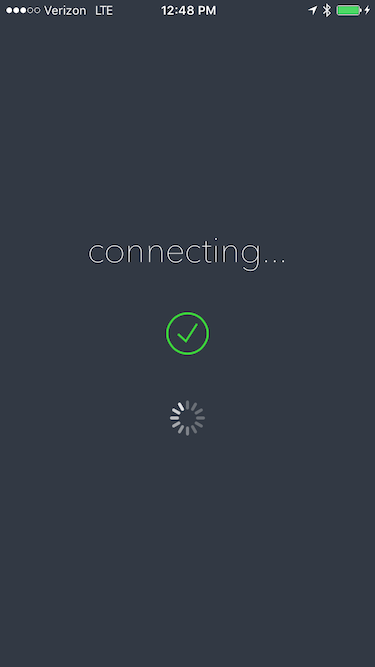 tapping the button will bring you to the connection process. After a short delay the phone will indicate that it has found Vert and then will then show connecting. During the connection process Vert will show purple briefly and then go dark. Vert turns its Bluetooth radio off after a few minutes to improve battery life. 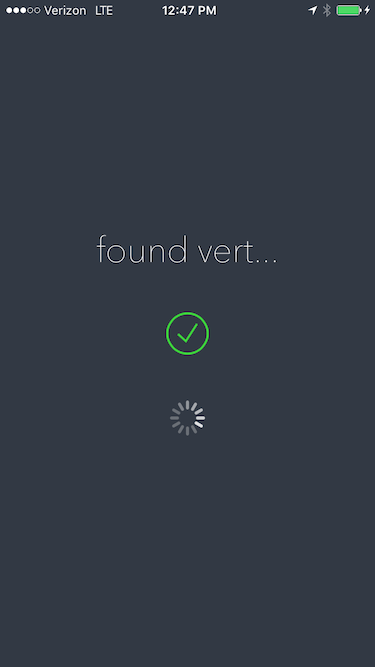 This means that Vert may be on, yet the app may not find it. If this occurs, turn Vert off and on again by pressing the button twice. 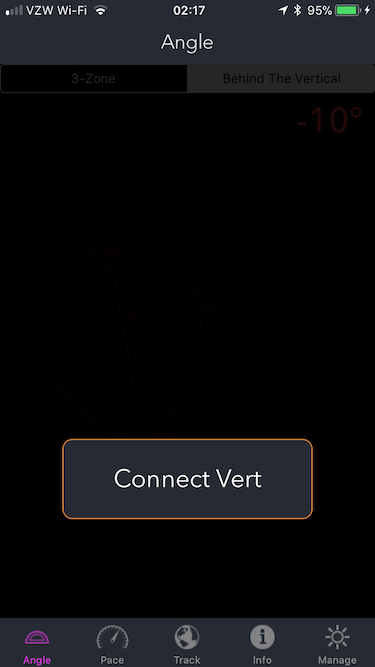 Each time you connect to Vert with the app, Vert is reset and erased. This means the button will not work and the light will not come on. Vert is not broken! It is waiting to be told what to do. Once it is programmed again (in Angle mode) or used in Pace mode, the light and button will function as expected. Let’s head to the stable for Part II!